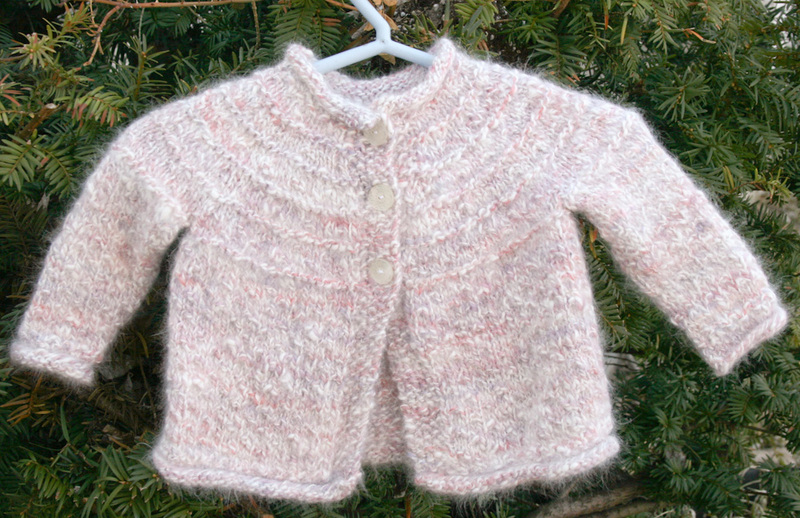 Handknit Aran baby sweater cardigan. An original designs handknit in handspun Angora Rabbit and Merino Wool and luxurious Silk yarn. 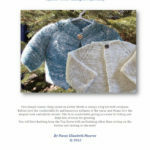 This baby sweater is made completely from scratch, by hand, by an experienced fiber artist from the best natural luxury and exotic fibers available in the world. Priced to sell. I have several new designs to post this week and would like to keep things moving. Buy it Now or Make me an Offer. It will look great on babies from approximately 3-9 months. It measures 19-20 inches around and 10 inches in length. You don’t have to worry about this sweater being itchy because of the wool. 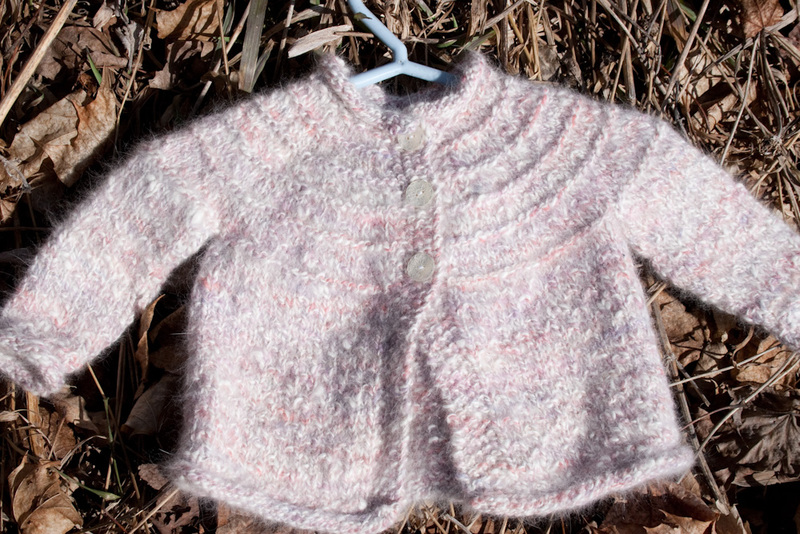 The Angora and Merino Wool and silk blend is soft enough to wear next to new baby skin. Category: Gift Ideas, Specials, Angora, Baby Sweater, Handknit Sweater, Handspun Handknit, Silk, Wool. 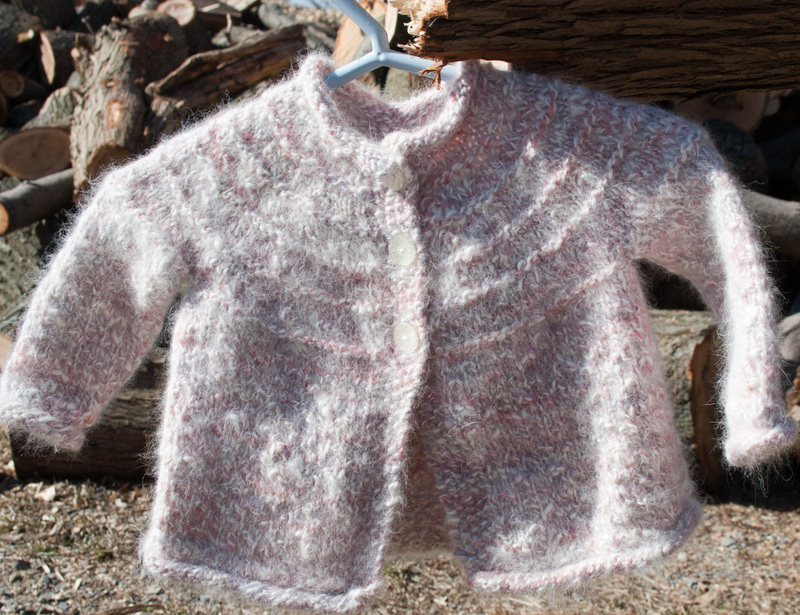 Tags: Angora, Hand Spun, Silk, Wool, Baby, Blend, Cardigan, Handknit, Handspun, Merino, Spinning, Sweater. 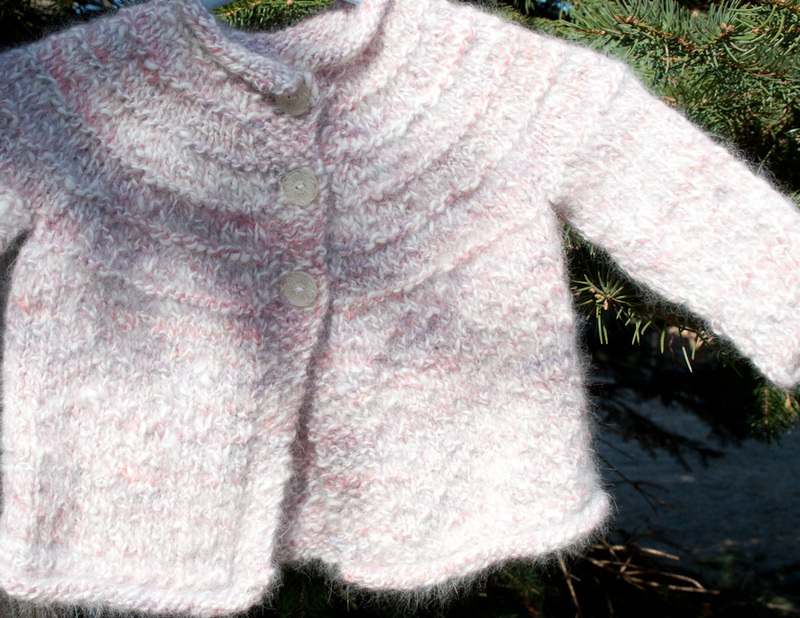 Another of my original designs for baby in handspun Angora Rabbit and Merino Wool and luxurious Silk. 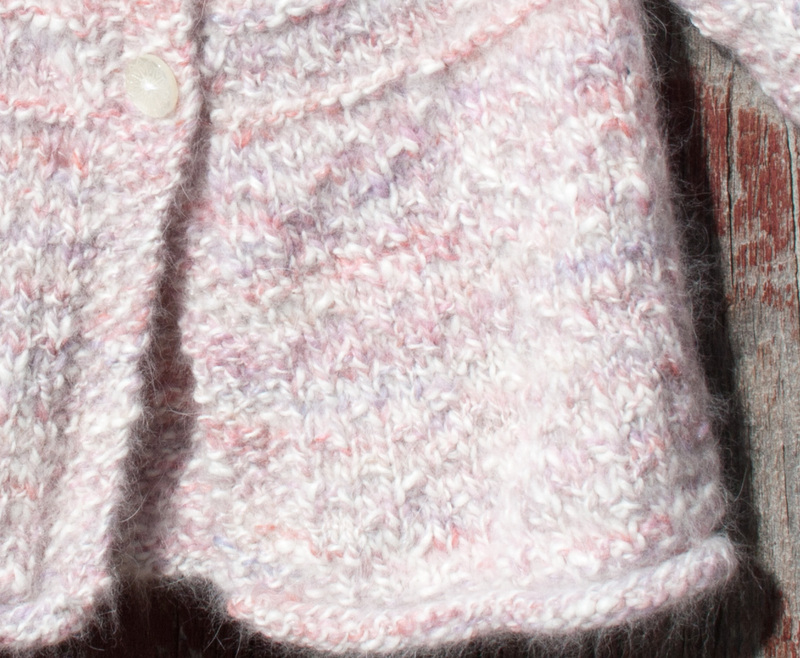 This cardigan is an heirloom classic, intended to be passed on to the next generation without ever going out of style. It is so soft and warm. 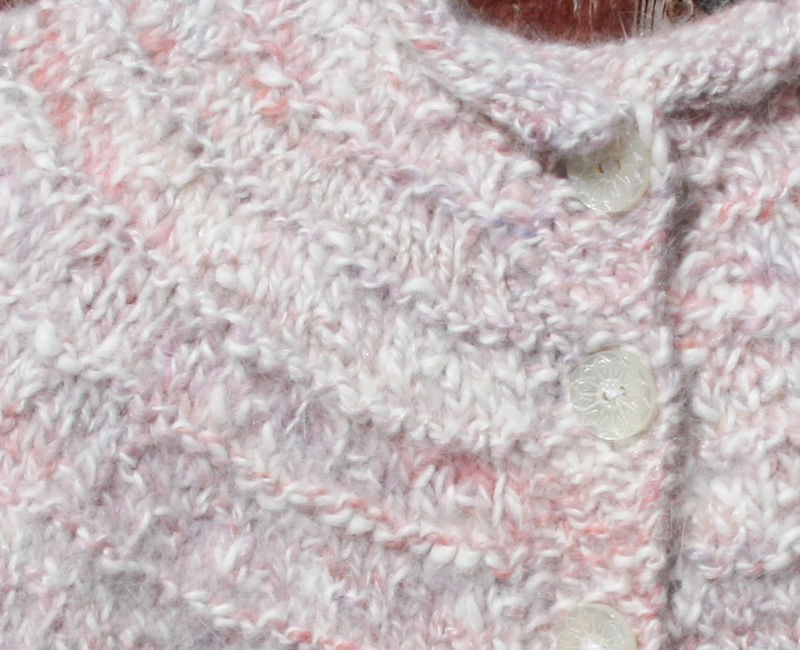 The simple lines and classic styling of this top-down yolk cardigan make it an heirloom classic. It is intended to be passed on to the next generation without ever going out of style. With proper care it will last for a long time. The pattern is a simple stocking stitch with garter accents which do not detract from the beauty of the yarn or distract the viewers eye. The front closes with some lovely etched buttons that work perfectly with the design. 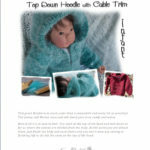 The sweater is designed with lots of ease for comfort and style and should fit your baby for quite a while. You don’t have to worry about this sweater being itchy because of the wool. 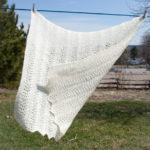 The Merino Wool and Silk that I use in my designs is soft enough even to wear next to new baby skin and the Angora is heavenly soft. This baby sweater is made completely by hand by an experienced fiber artist from the best natural luxury and exotic fibers available in the world. It would make a perfect baby gift for someone very special. Angora’s main distinguishing feature is its fluffy surface texture and its ultra soft touch but did you know that it is also one of the warmest natural fibers? It is said to be 7 times warmer, even, than wool and has been known to be prescribed by doctors in Europe for pain relief. It is so comfortable and a valuable insulator! The angora fibers, with their halo, trap warm air against the body and increase the blood flow to the part of the body wrapped in the angora. The fiber is harvested by combing the rabbit when the bunny molts and the fiber is shed naturally. It would take a very long time for an Angora rabbit to produce enough fiber for this little sweater which makes anything made from real angora fiber so rare and expensive. is the most delicate and softest wool. 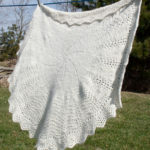 It also has lots of crimp and elasticity making it ideal for spinning into cloud soft baby yarn. Wool is a natural insulator it absorbs moisture and remains warm even when wet. of course, is another luxury fiber. A natural protien that keep you warm and cosy in winter and comfortably cool in spring and even summer. It is fine, durable and light comprised of very long lustrous fibers, giving it the notable shine and ultra smooth surface that has become known to us as silky. In spite of its delicate appearance silk is extremely strong. The surface of the silk fabric resists soil and odors and has a natural fungal repellency. 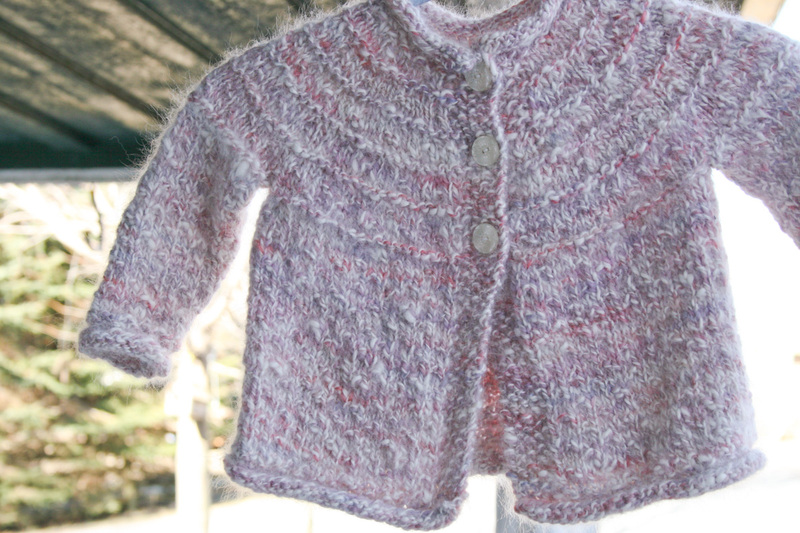 This baby cardigan is knit by hand from yarn that I spun especially for this sweater. First I have to card each of the fibers to fluff them up and get out any tangles. This also lines up the fibers to make them easier to spin. Next they are carded together several times until i get the blend I am looking for. Once the fiber is blended to my satisfaction i take it in to my spinning wheel and listen to an audio book while I spin it up. Once I have 2 bobbins full I have to go back and “ply” them together. Most of my handspun yarns have 2 plies. The juxtaposition of the shiny strong silk with the matte haloed softness of the angora gives the sweater an ethereal quality. The special combination of fibers makes this sweater soft and cozy, very warm as well as durable and lasting, not to mention very beautiful. Any baby will appreciate the luxurious warmth and softness, any mother will love the simple, classic lines and exceptional warmth of this cardigan. This design is especially suitable for a baby girl. Whenever you order from Nancy Elizabeth Designs your order will come with full care instructions. We’ll also include a sample of “Soak” my favourite no-rinse wool wash.